Rewind to couple years back and think about what the old Hot Tin Roof building and surrounding area looked like. Fast forward to 2018, and what a change. 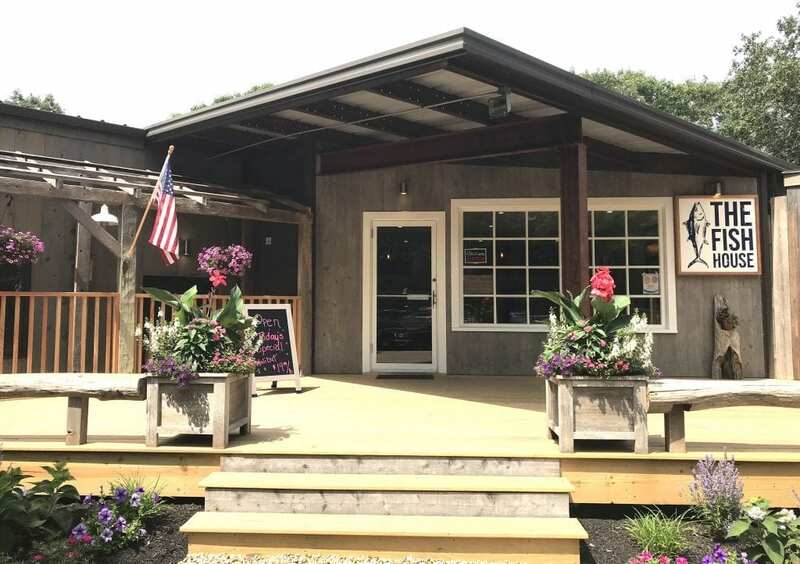 With MV Wine & Spirits, the new Black Sheep Mercantile, and now The Fish House, it’s a whole new world. It’s literally one stop shopping in the middle of the Island. You can get libations, prepared food and dry goods and now some of the freshest fish around. I stopped by to check out The Fish House, and was greeted by husband and wife, Tyler and Shane Gibson. 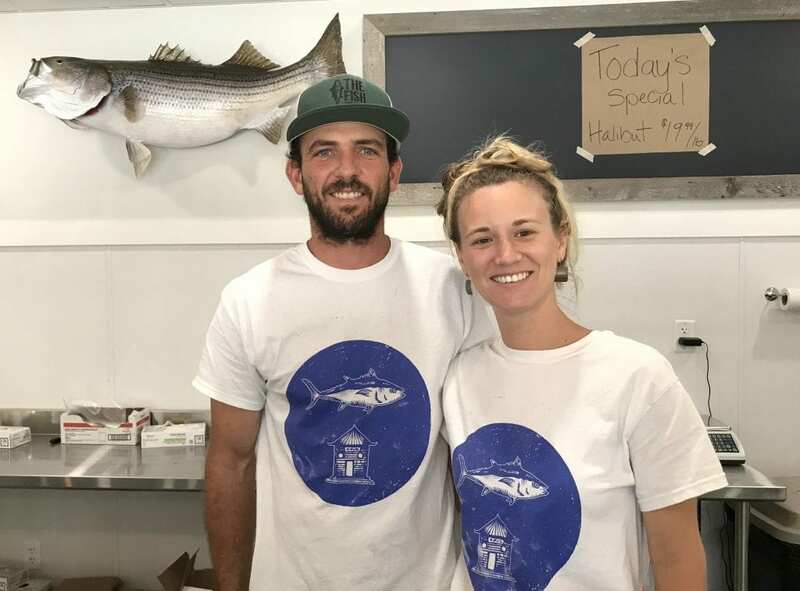 Tyler and co-owner Alec Gale opened The Fish House just a couple weeks ago. Tyler is a big fisherman in addition to being involved with The Fish House. Shane is a bit more of a land lubber, but happy to work in the market and enjoy what Tyler catches. 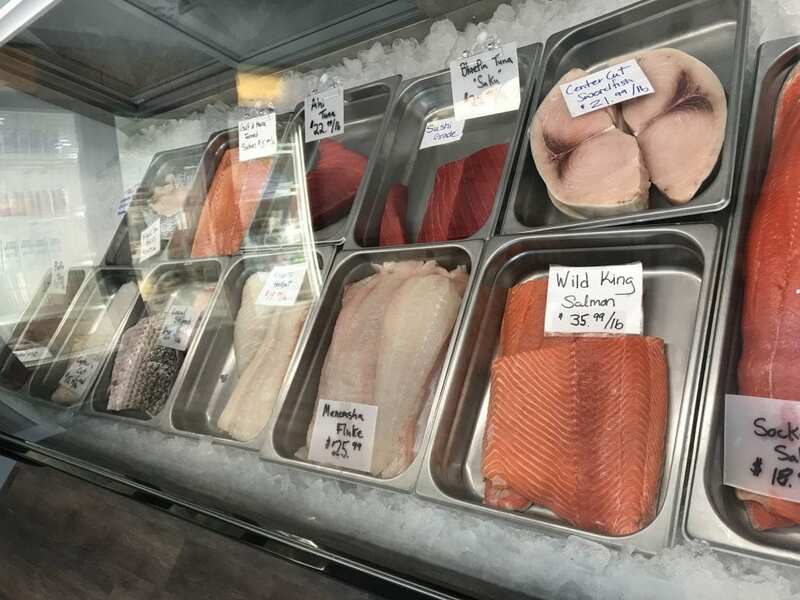 The Fish House has a beautiful selection of fresh local fish. 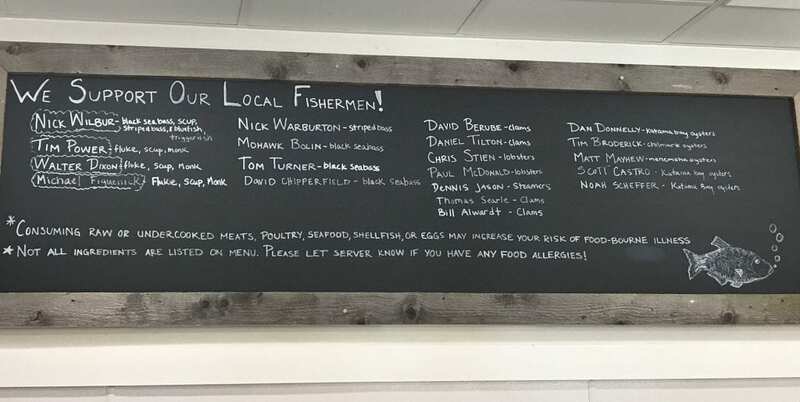 So local, you can check out the board and see whose bluefish or striper you’re having for dinner. I love this little added knowledge. Knowing your fishermen makes you feel even better about shopping local. There are some items, like salmon, that are not local, but are carefully sourced. 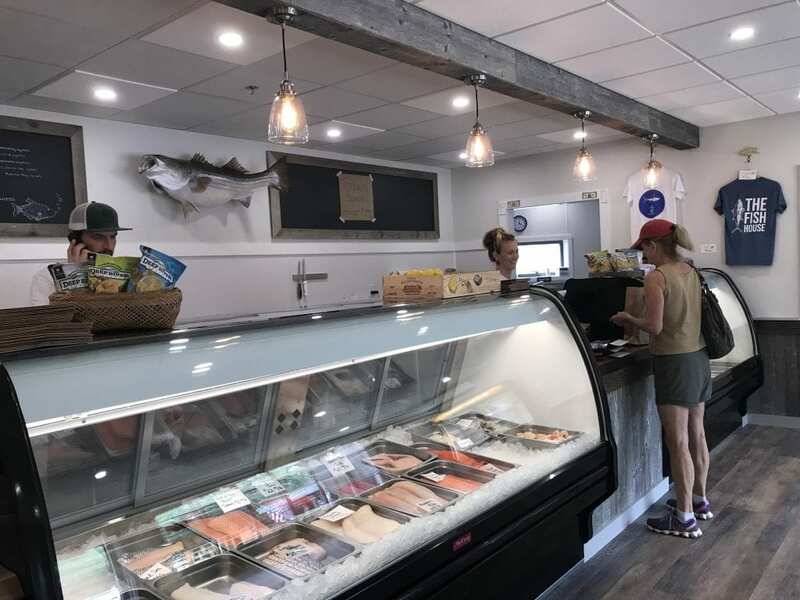 Currently The Fish House is offering fresh fish, frozen fish options, and some cold prepared foods. There are plans to build a kitchen for hot foods and more prepared foods, but that’s for phase two. This new area is the Island’s newest trifecta. 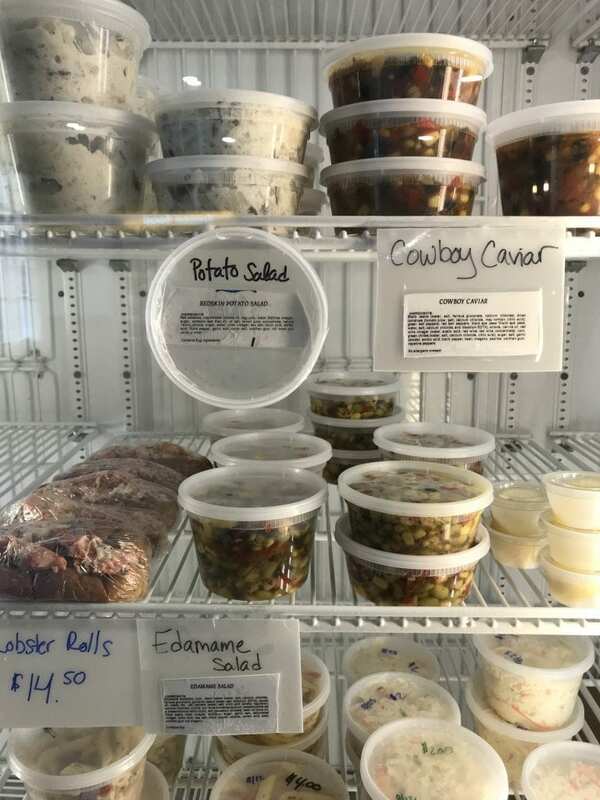 Chips, dips, hostess gifts, salads, sandwiches, cheeses, etc., from Black Sheep, a fresh catch and clams, etc. from The Fish House, and your beverages (of all kinds) from MV Wine & Spirits. All possible with PARKING and hosted in beautiful spaces. The Fish House is open daily. Be sure to check out their daily specials…just for the halibut! 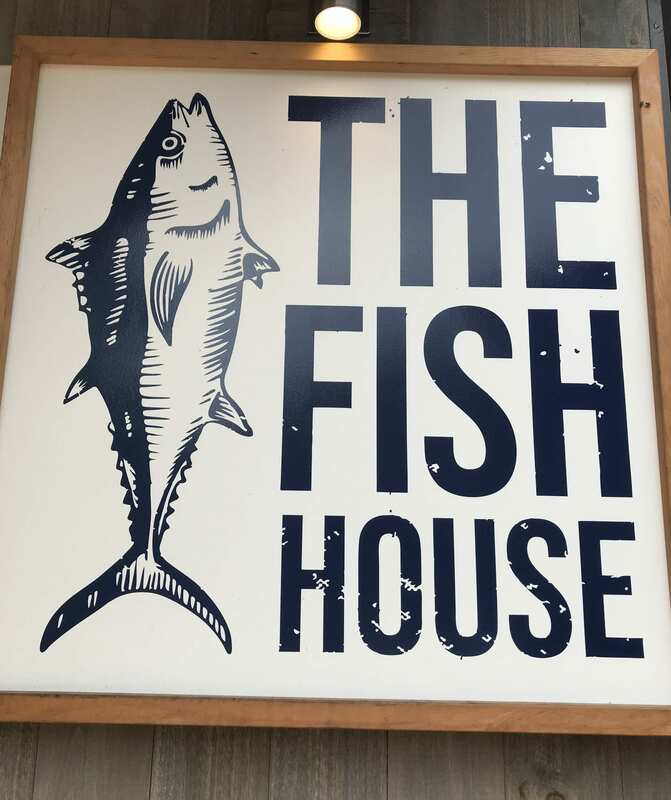 The Fish House is the down Island sister to the Menemsha Fish House which has become synonymous with fresh fish on Martha’s Vineyard. Thanks for reading On Point MV. 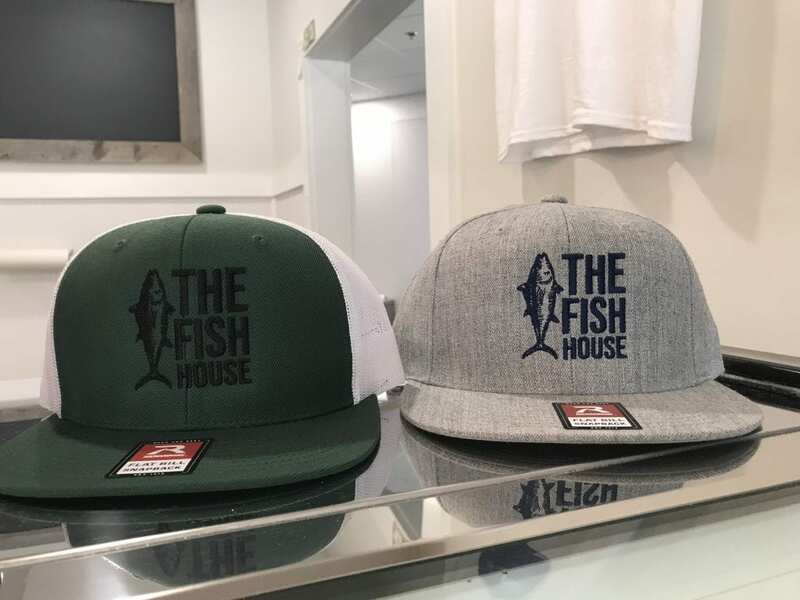 You can also learn more about the The Fish House on Facebook. Don’t forget to “Like” us on Facebook, and follow us on Twitter, Linked In, Google+, Pinterest, Youtubeand Instagram.